If you are an avid reader of Biologic’s Farming for Wildlife like I am, you are very aware of food plot management, how to get the most out of your deer herd, and timber management. All of these can positively impact your property and add an exponential amount of value to your paradise. However, when you go to sell that property, one factor that many people tend to overlook could mean the difference between sold or not-a quality road system. There are three main types of roads that can affect the overall value of your property: external roads, primary roads, and secondary roads. Of these three, external roads, which reflect the access to that property from the outside world, are largely out of the landowner’s hands. For instance, if a county road or state highway does not give the landowner proper access to his tract of land, he is at the mercy of adjoining landowners for proper access to that property. He may already have an easement in place, or may have to ask a neighboring landowner for permission. Regardless, it is an unwanted position to be in. There also is the issue of “too much access,” meaning a property is cut in half or thirds by public roads. This is an undesirable situation due to the inconvenience it causes and also the increased threat of poaching. Make sure that if your property is located on a public road, that quality gates and locks are placed on entrances and that posted signs and boundary markers are visible. Most poachers when caught plead that they simply did not know where the property lines were. If you have quality and visible markers in place, they cannot do that so easily. When someone asks me what a primary road should be like, I tell them that a Cadillac should be able to drive on it at any point of the year. That may be somewhat of a stretch, but you get the point-they should stand up under high amounts of traffic year-round. Usually a piece of property will have one or two primary roads and a number of secondary roads coming off. You want your primary roads to receive 70% of the traffic, which means as a result, they require 70% of the maintenance and 70% of the cost. Primary roads should be 45-60 feet wide to allow proper sunlight for drainage and drying purposes. Overhanging branches should be trimmed back as well to allow the sun to dry the dirt. These roads need to be “domed” up, meaning they have a distinct curve that will allow proper draining of water. The sides of the roads should be properly ditched to move water from low spots on the road towards drainage points. Culverts and high strength bridges should be put in place if needed, and water bars (staggered bars on the ditch portion of the road) should be used on hilly portions of the road to properly flow water away from the domed portion of the road to prevent erosion. Medium grade rock can be applied as needed, but remember that there is a noise factor with rocks. I personally try to stay away from using rock if any way possible. Also, wide roads can be over seeded with clover or wheat, which will not only provide a quality food source for deer and turkey, but also cut down on erosion. 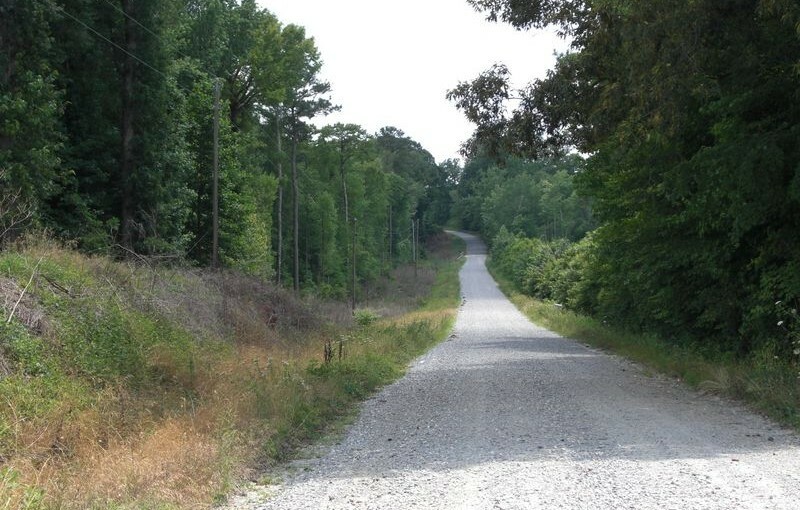 Secondary roads are those that stem of the primary road to get to food plots or blocks of timber. These roads serve the same purposes as primary roads, but due to their low traffic counts, can be slimmed back in terms of criteria and expenses. They still serve as travel corridors for not only humans, but also wildlife, so completely neglecting these roads is out of the question. Now that we have established which roads we will give attention, let’s go through the criteria. I generally want my secondary roads to be no less than thirty feet wide, which will give adequate sunlight and space for trucks or heavy machinery. I try to use culverts only if extremely necessary, and will try to avoid doming up roads unless dictated by the drainage. Secondary roads must be treaded lightly; avoid using them during wet periods unless completely necessary. It is much better to have to walk an additional two hundred yards into your stand than to rut up the roads and be forced to repair them at a later date. Also, one thing you have to keep an eye on with secondary roads is overhanging limbs. An afternoon of trimming with a limb saw may be needed periodically to keep the road from getting shaded. On our property we have a number of “pig trails” that are roads that are only used on an as-needed basis. For example, if we need to create a fire lane around a block of timber, we would use a pig trail to do so. Pig trails should be traversed by foot or an ATV at the maximum and come in handy for slipping into a stand or getting in position on a gobbling turkey. A quick whack with a Bobcat or small gauge bulldozer may be all you need to create an effective pig trail. You really cannot put a value on the impact quality roads have on a piece of property. I know on my piece of property quality roads sure have made my management activities easier, and trimmed down the number of headaches that bad roads create. Remember that the “an ounce of prevention today” rule applies, so do not cut any corners on your property. It will lead to years of quality enjoyment for you and your loved ones.